Michael is a seasoned financial leader with over twenty-five years of experience in companies ranging from start-up through Fortune 100, and diverse industries such as software, telecommunications, utilities, biotechnology, healthcare, manufacturing, and services. He is a progressive technology user with a proven track record across corporate financial functions. 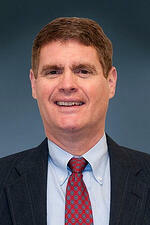 Prior to joining CFO Selections, Michael was a Consulting CFO and Managing Director of VCFO, a financial consulting firm. While there, he addressed diverse and challenging opportunities to advance the business and grow professionally. He has extensive experience managing all aspects of accounting and finance, as well as facilities management, human resources, benefits, and internal audit. 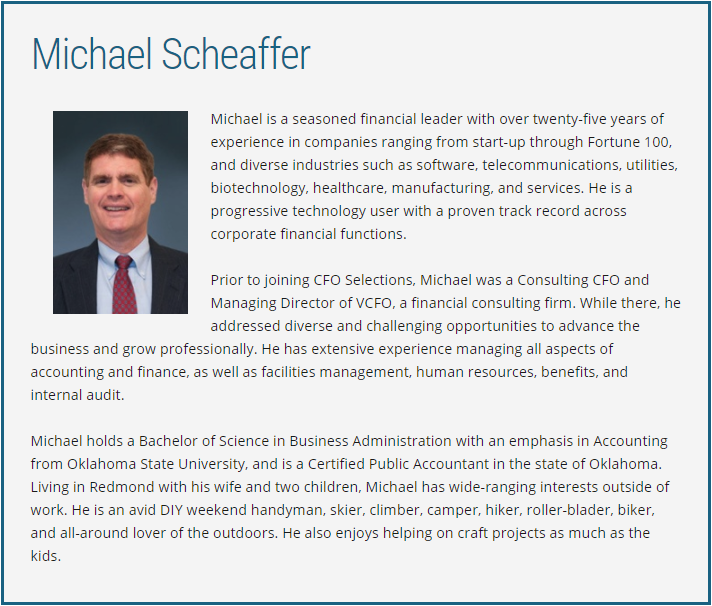 Michael holds a Bachelor of Science in Business Administration with an emphasis in Accounting from Oklahoma State University, and is a Certified Public Accountant in the state of Oklahoma. Living in Redmond with his wife and two children, Michael has wide-ranging interests outside of work. He is an avid DIY weekend handyman, skier, climber, camper, hiker, roller-blader, biker, and all-around lover of the outdoors. He also enjoys helping on craft projects as much as the kids.